Each year Disney fans gather for the Disney D23 Expo. Think of it as Comic Con for Disney fans. So Honda crafted a Minnie Van that they displayed at the show. Of course a Minnie creation had to be in pink polka dots and sport some ears and a sporty bow. 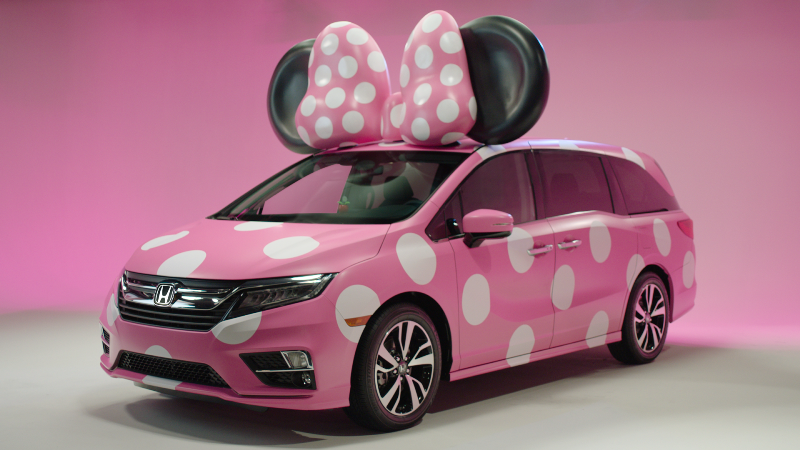 The new Honda Odyssey matches well with the target audience of soccer moms and dads needing to haul a bunch of tykes to here and there. The new 2018 version builds on the best selling minivan in America and is made in the USA. The Odyssey has been the top selling van for the past seven years and this new build increases the ride and looks of the minivan segment. 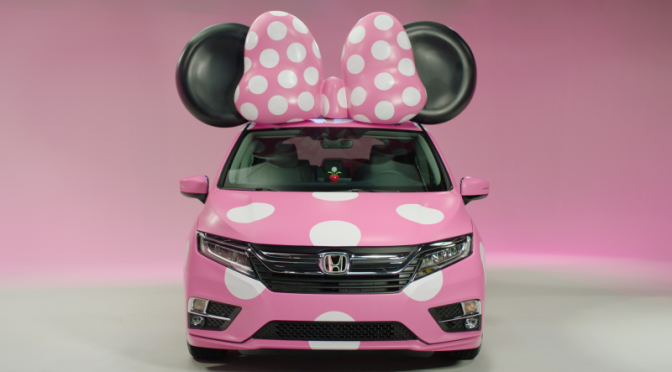 So my guess is the Minnie Van will be making the rounds around the country, putting some smiles on lots of faces and maybe a Mickey van will soon appear?